This 1950’s WITTNAUER chronograph (by Longines) measures 35mm. and has chamfered lugs and screw back, all in great condition for its 1950’s manufacture. The multi-coloured dial was expertly restored and retains the original Dauphine hands. 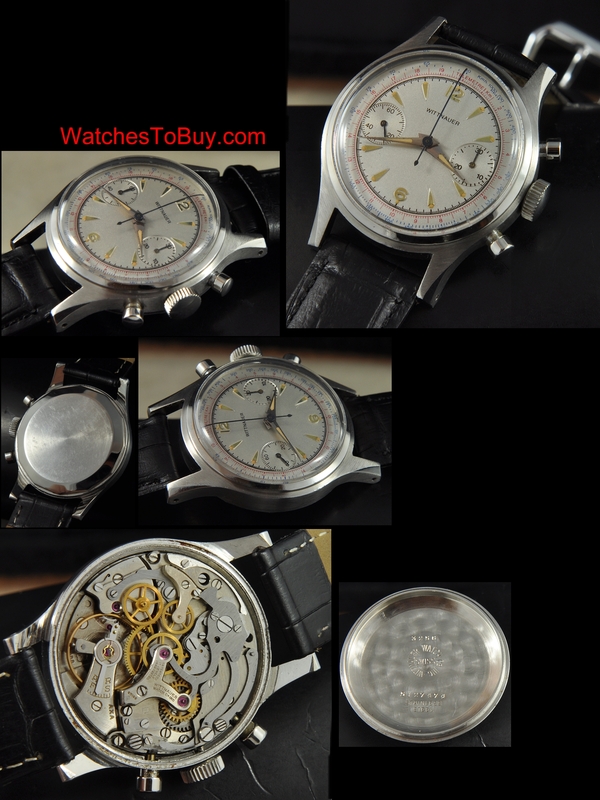 The Venus 188 manual winding chronograph movement was just cleaned and all functions working smoothly and accurately. 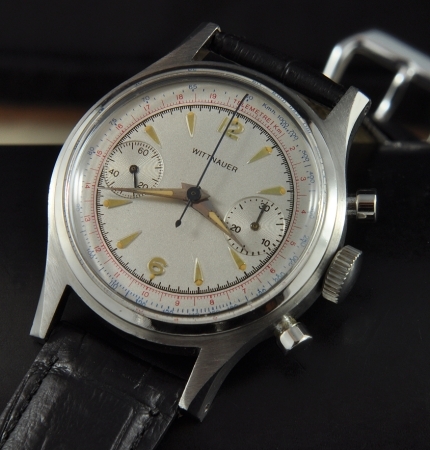 This is a great looking vintage chronograph. $1795.